April showers did indeed bring May flowers, even though it took me a while to get pictures in this dress. I initially made this dress to wear for Easter on a cruise back in April. Yes, I did wear it on Easter, and I had all intentions of using the pictures taken on the ship for my blog post. Well, that did not go over very well. The photographer was lame, I mean terrible!!! The next day, when I excitedly went to see my pictures on display... I was floored by such awful pictures. My coloring was horrible, my hair looked like crap, and the neckline and armholes were disgustingly oversized and ill-fitted. I had not done this beautiful cotton sateen justice. 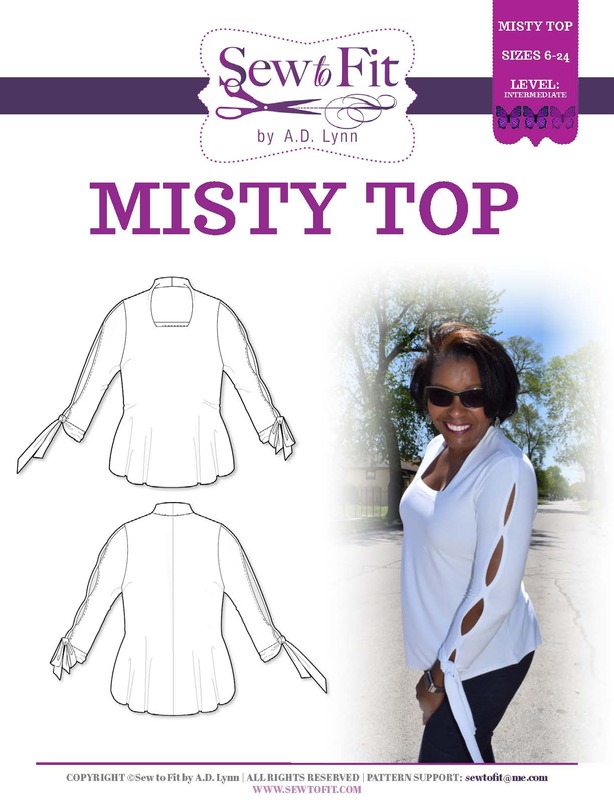 When I downloaded the pattern from the Bootstrap, "Fashion Design WIZ Pro", I was supper happy to have something "fit" my chest. But, totally forgot to take time to thoroughly analyze the fit in the most important areas, the armholes and neckline. This dress was constructed in true---ready-to-wear fashion. Meaning, I sewed the entire dress on the serger. I used the regular sewing machine to complete 3/4" hem along with making the alterations for the neck and armholes. The facings were included with the pattern in this case, since it is considered a "fashion" pattern. If you recall the one I did for Jennifer...did not, because it was a sloper. The fabric was purchased by me from Sew Much Fabric, the online "fine" fabrics store I deal with mostly for any of my "online" purchases. I love working with the owner, Roz. She is very interested in making sure I get what I need. You all really should check her services out. Occasionally, she will sponsor one of my post. Which, can get blurred at times, since I purchase a large majority of my fabrics from her when I don't go out of town or to the only ONE fine fabrics store we have left here. They use a system created by an engineer based out of Russian using algorithms that can get some really good results, not withstanding plus-size. The jury is still out on that one for me. This system is the EXACT SAME AS "Lekala Sewing Patterns- Site" , and is no different, except for the website layout. Bootstrap offers everything on one website, to be used copyright free, and royalty-free, in multiple ways, by designers, sewing enthusiasts, pattern makers, teachers, etc., all with the desired outcome of creating "custom-sized" patterns to your measurements. All their systems will get you pretty close to a decently fitted pattern. But, this part of their offerings, the Fashion Design app... right now, will not take up my time EVER!! AGAIN! I'm serious y'all. It seems to have created the same problem I told you all about in my YouTube video on how to choose the right size pattern. Check it out if you want. Don't get it twisted, this dress fits "around" all the important places, but I had to work to get the dawn neckline and those armholes right. Those armholes are still in need of some manipulation..(aaahhh, I didn't do a muslin...I was in a rush). I'd rather start another dress. Truth be told, we wear this kind of stuff all the time from the store with no concern. It's when we sew it ourselves that we create big deals and hee-and haw over every little detail. Those times when faced with sharing with the world our fashion fit-flaws, and risking telling the public and our "students" in my case, that we didn't get it right!!. I am human y'all, and I am honest too. 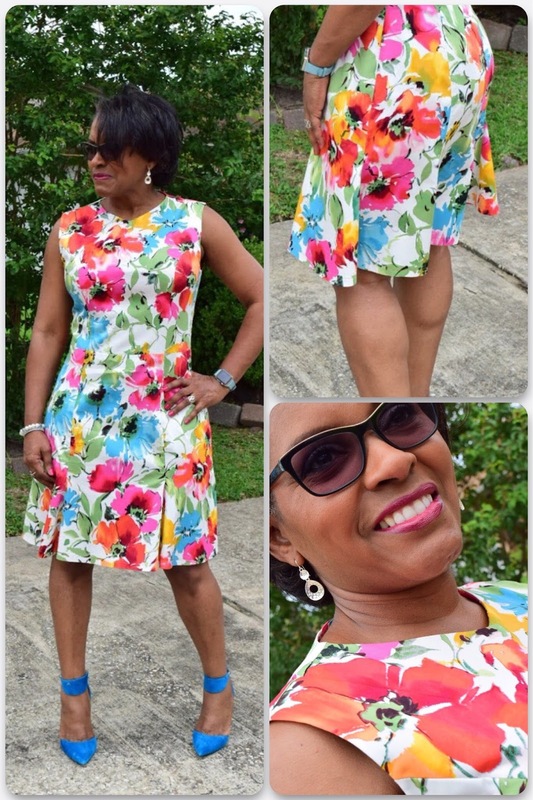 Honestly, I am gonna wear the threads out of this dress this summer, fit issues and all, regardless of what I say here on this blog. 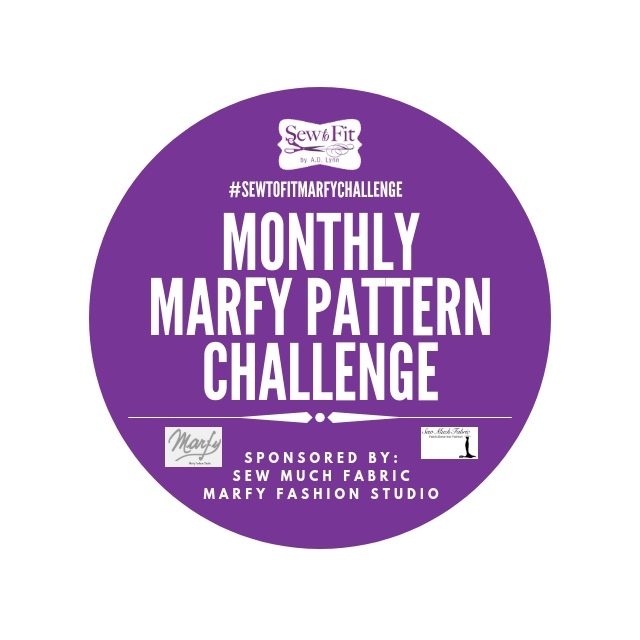 I think that considering so many are in desperate need of patterns that fit, this system can be a welcome change and a very good option for those who want to at least start with a "pretty" good pattern, less the major expense of a computer system such as Wild Ginger or PatternMaker. Also, consider, this program gets you some pretty decent designs straight out the gate. Whereas, with Wild Ginger, you are working with libraries of "plain" base pattern blocks, which require "vision" to conceptualize. Most people are not at that point, or just would rather have designs already worked out on the front-end. 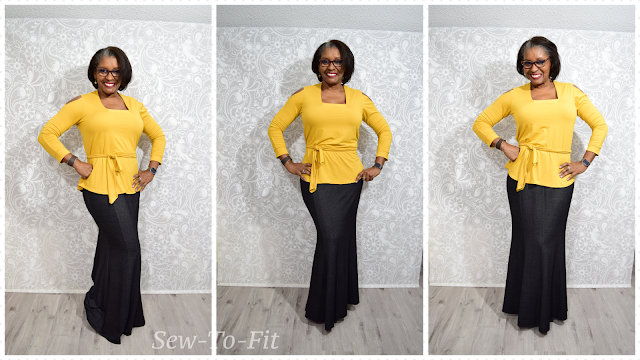 I can be that person at times when I "just" want to sew, not design...or worry about all the major fit issues presented with standard pre-packaged pre-sized patterns. OOOH BTW...do you all want a tutorial on how I improved this neckline? Gorgeous dress and the shoes are the perfect pairing. Well thank you very much Sheila. You are my shoe goodness. Lol. 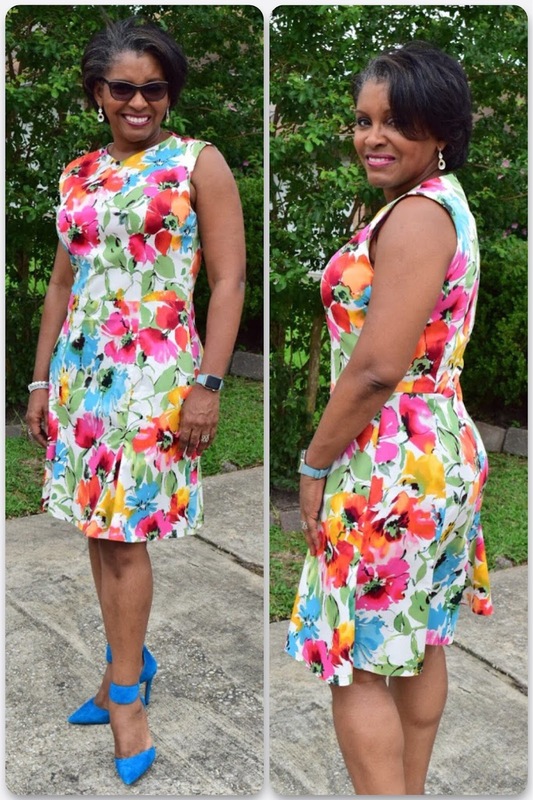 I love the fabric, it really is a beautiful dress and it looks good on you, yes I would love a tutorial on the neckline and oh BTW I did not notice the matching of the fabric I just see the overall look, from head to toe. Well put together. Much appreciated Sharon. I have some fine ladies in my group whom I went on a trip with a couple years ago that would die over this mismatch. Funny. Oh my I Love this fabric. It's gorgeous!!! You always have the nicest fabric!! And your dress looks amazing on you. Thank you very much Ann. I know how I am when I read blogs. I want information and sources. It's a little tedious, but even when I need references, I return to my own blog post. 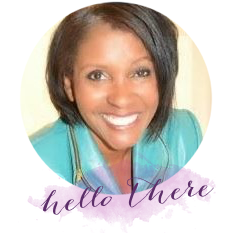 From one who hasn't kept up on my blog,(but trying to work on that ;) I know writing up a good review is very time consuming so I appreciate how much work goes into your blog posts and I thank you. Perfect match of pattern and fabric. You look beautiful!!!! Well thank you very much ma'am. I love the dress. The fabric is great with the style. Yes, I'd love a tutorial on neckline. I like the dress. Fit and fabric looks good to me. I have Pattern Master for Knits. I am Plus Sized and full busted. No more fba's. I can copy almost any pattern (or come pretty close)so it works for me. I hate taping paper together which is the worst part but all PDF patterns work that way. I read on another blog if you copy the taped pattern to pattern paper it makes pinning and cutting much easier. It's also easier to save the pattern. I've seen Bootstrap but never used it. I'd love to see a tutorial. I have a couple bootstrap patterns but have not sewed them so am interested in your reviews of them. What a beautiful dress! I love the vibrant happy print. The dress looks great and you should wear it. I would have never caught that very minor gaping had you not pointed it out. Such a beautiful print! Hi Andrea, this is Yuliya from BootstrapFashion. 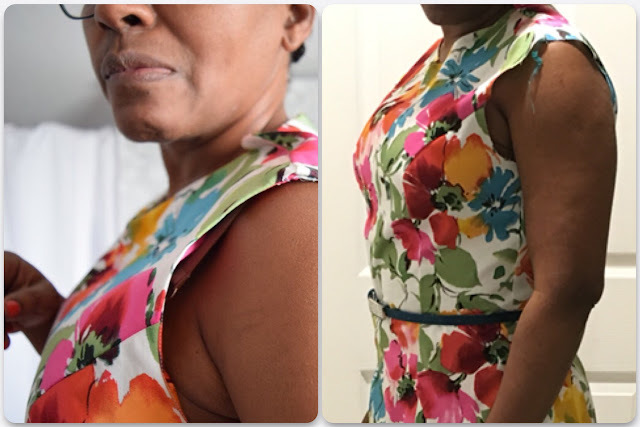 Thank you for the detailed review and after reading your post I agree that the neckline and armholes need to be corrected, which we already started to work on now based on your feedback. We rely on feedback from our users to be able to provide the best-fitting patterns.